Parsley Cottage in Tideswell, near Buxton, Derbyshire sleeps 4 people. Parsley Cottage near Buxtone can be found in the ever popular Peak District village of Tideswell. 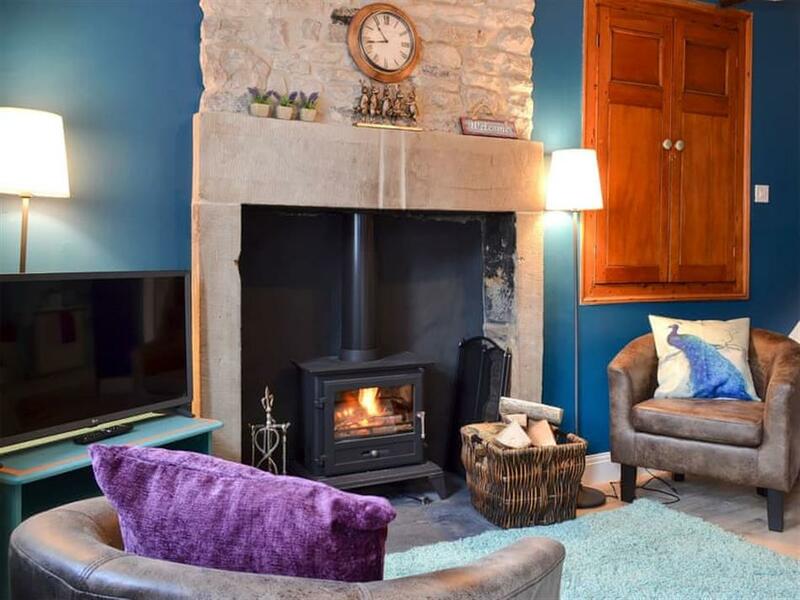 This stone-built, traditional end-terrace cottage is complete with a wood burner, making it warm, cosy and a perfect base from which to discover all that the Peak District National Park has to offer. Nestled between the rugged Dark Peaks of the north, and gentle rolling dales of the south, Tideswell itself benefits from plenty of local amenities including shops, pubs serving food, cafés and annual events including a food festival, wakes week, arts festival and even its very own Last Night of the Proms. Probably best known for the large and impressive St John the Baptist Church, or the ‘Cathedral of the Peak’, Tideswell is surrounded by stunning scenery and glorious countryside and there are a number of other Peak District towns and villages within easy reach. These include Litton, 5 minutes’ drive, Eyam, 10 minutes’ drive, and Castleton, Bakewell and Buxton, all 20 minutes’ drive. The magnificent historic houses of Chatsworth Estate and Haddon Hall can also be reached in around 20 minutes, Matlock and Ashbourne in about 40 minutes, and for those thrillseekers, Alton Towers in under an hour. The shop is 350 yards from Parsley Cottage near Buxton, with a pub and restaurant 70 yards from Parsley Cottage. Parsley Cottage can be booked together with Nutmeg Cottage (ref UK4080 [Nutmeg Cottage]), located 100 yards away, to sleep up to 8 people. Living/dining room: With wood burner, Freesat TV, DVD player and beams. Kitchen: With electric oven, electric hob, fridge/freezer, dishwasher and washer/dryer. Bedroom 2: With single bed with 2ft 6in bunk over. Gas central heating, electricity, bed linen, towels and Wi-Fi included. Initial logs for wood burner included. On road parking. No smoking. Holidays at Parsley Cottage run from Friday to Friday. Pets allowed at Parsley Cottage. For a better idea of where Parsley Cottage is, you can see Parsley Cottage on the map below. 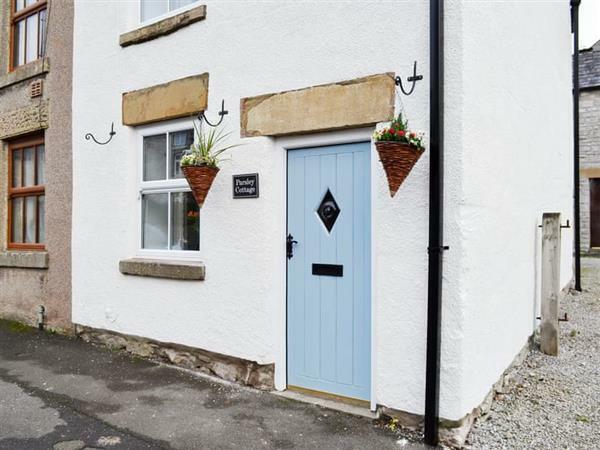 Parsley Cottage is in Derbyshire; should you be on the lookout for a special offer, you can find all the special offers in Derbyshire. It's always worth checking to see what is on offer at the moment. Do you want to holiday near Parsley Cottage (UK4184), you can see other cottages within 25 miles of Parsley Cottage; have a look to find your perfect holiday location.